In celebration of the ‘Charter of the Forest’, the Lincoln Art Programme commissioned six artists for a pop up exhibition in Chambers Farm Woods during the late summer of 2011. The curators Amelia Baevis-Harrison and Alan Armstrong suggested the exciting concept of exhibiting Tereza’s work on a billboard amongst the ancient flora. Her practice involves staged tableaux, improvised rituals, film and photography outdoors. “I took this opportunity to research English folklore for the first time. Given my respect for the natural world my longstanding model Zoe Simon embodied various goddesses that protect it and the cow is the kind that can feed one thousand men in one milking. The King is a peasant farmer from Lincoln, who the Charter rightfully gave equal ownership of the natural world that he nurtures. I gave him the richly symbolic hat from the lively tradition of the Haxley Hood Game. Its energy reminds us that folklore is not dead or irrelevant.” Drawing on the radical Charter, Tereza produced a limited edition print which will be acquired for as much as each collector feels they can afford. Tereza Buskova (b.1978, Prague) is a Czech artist who lives in London, having completed her Fine Art Printmaking MA at the Royal College of Art in 2007. Her intuitive practices capture and renew folk traditions through the combination of film making, screen printing and performance. Within one year of graduation from the RCA in 2007 Buskova exhibited internationally. This included her first solo show ‘Rituals’, curated by Vincent Honore at the David Roberts Art Foundation. 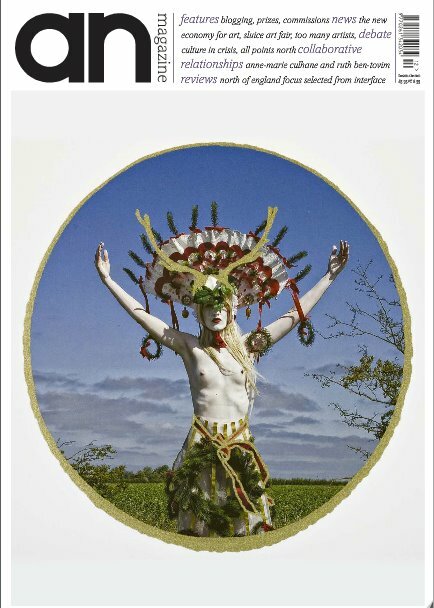 The Arts Council UK, Czech Centre, 176 / Zabludowicz Collection and others supported her Spring Equinox project exhibited in the group show ‘ A Tradition I do Not Mean To Break’ in 2009. 2010 was marked by her timely production of the project Masopust which re-explored traditional Bohemian carnival-fuelled survival of winter and its associated austerity. Yinka Shonibare’s Guest Projects were the first to exhibit this work. In 2011 the Lincoln Art Programme commissioned Buskova to create her first public installation and a limited edition print ‘The Charter of the Common Man’. Her work will appear at the Freedom from Torture 2011 Art Auction alongside established artists such as the Chapman Brothers.